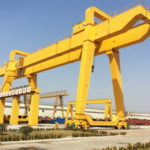 QD type double girder overhead crane is a large and powerful heavy duty lifting equipment used for various fields and sectors, such as workshop of manufacturing and assembly lines, chemical plant and freight yard. The double beam overhead crane with hook can handle a considerable amount of weight within your facilities, ranging from 5 ton to 320 ton. 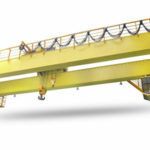 To meet your heavier lifting applications or special requirements, the double girder crane can be custom designed and built. 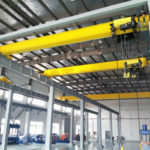 Double girder crane can realize a greater lifting height, speed and work duty than single girder overhead crane, thus it can be employed for a variety of usage from intermittent use to frequent service. 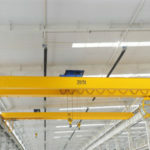 With regard to heavy duty overhead crane, the lifting operation is typically controlled within the cabin, whereas wireless remote control is a cost-effective option for lightweight lifting operations. 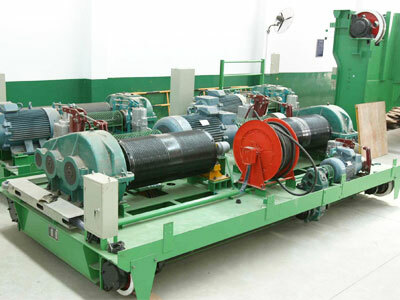 It has large capacity and wide application. 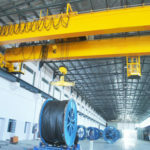 Generally when the rated load weight is more than 15 ton or the span is over 30m, double girder overhead crane is a preferred option. It has rigid structure, reliable and durable performance, which will enormously increase production for your business. 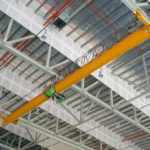 It provides more effective lifting height as the hook can be pulled up between two girders. It is highly suitable for frequent and severe lifting occasions. 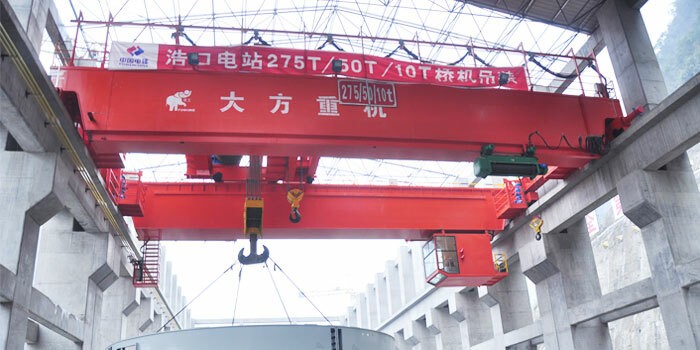 Double girder overhead bridge crane consists of two bridge girders, two end trucks, hoist trolley, electric control system and cabin. It usually runs on the top of runway beam. Bridge girder: two bridge girders and end trucks constitute the bridge of double girder crane, which can cover the width of the building. It is also the unit to support trolley mechanism. Trolley mechanism: it mainly consists of hoisting mechanism for lifting loads vertically and a trolley that runs horizontally along two bridge girders. Electrical system: the power of crane runway is supplied by conductor bar, and that of hoist trolley mechanism by festoon cable. 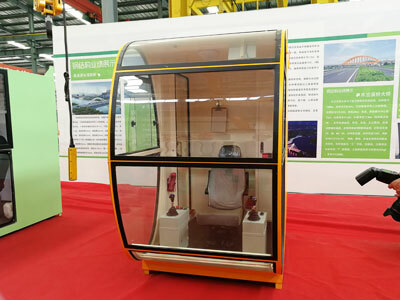 Cabin control: it will utilize joysticks to control the lifting movement of heavy duty crane. The control system is usually outfitted with a manually reset emergency stop button to ensure a safe lifting operation. With regard to runway structure, you need to specify runway height and length. 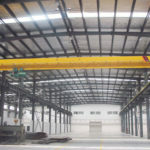 The steel structure for building is also supplied in case you do not own a pre-existing facility. Hook group is the most commonly used device for lifting heavy loads, mainly composed of hook, nut, hook beam, thrust bearing, pulley and pulley bearing, among which hook serves as the core unit to rig the load. The hook is available in a variety of types, including single hook. Double hook and C-shaped hook. With respect to lifting capacity, ease of use and safety consideration, each type has its own advantages and disadvantages. 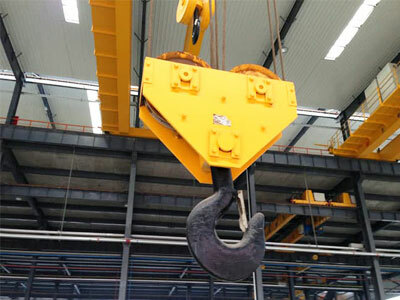 Single hook is mostly applied to small and moderate overhead crane with lifting capacity not more than 80 ton. 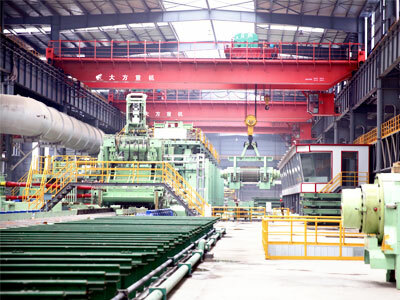 It is easy to use, and the manufacturing process is also simple. Double hook is perfect for heavy duty lifting applications, and it can withstand a greater stress than single hook. C-shaped hook is more often used for loading and unloading from ships. 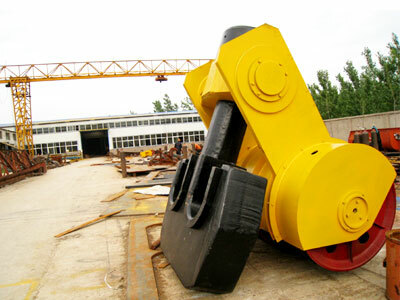 The lifting capacity of hook is largely determined by its strength and work duty of hoisting mechanism. For further information, contact us online directly.